A driveway or patio may look great when it is first laid, but it’s usually a few months down the line when the quality really shows through. All of our driveways are designed and installed to the highest specifications, so our paving won’t shift, crack or subside. Our vast range of block paving products for driveways are available in concrete or natural stone – such as granite and sandstone. There are a variety of sizes, colours and textures which can be used to create stunning designs. A great looking driveway provides convenient and secure off street parking whilst also significantly enhancing the kerb appeal of your home. 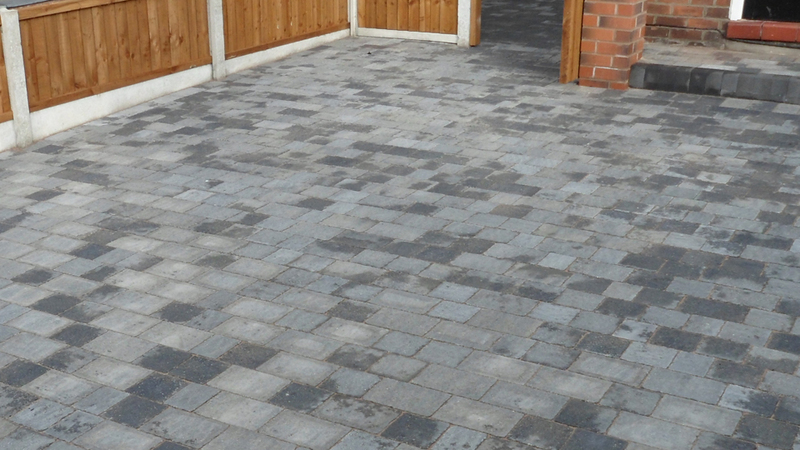 Concrete block paving from The Driveway Company UK is available in a wide range of different colours, sizes and finishes; this means that you’ll be sure to find exactly the right product to suit your house type from traditional through to contemporary. Many of our ranges also include additional features such as channels, circles, kerbs and edging to personalise your design making it unique to you. Want something a bit different for your home? Why not use the circular features, which are available in a majority of the paving ranges, to create a feature? Design beautiful curved pathways or a patio area, mixing different sized paving blocks to create interesting patterns. This can be a really great way to integrate the paving around your home letting your driveway lead you into your garden – which you can also enhance using block paving. Please remember to consider surface water drainage on your driveway as you will be responsible for ensuring that it complies with the Building Regulations. Please contact our friendly team to discuss your concrete block paving requirements and we will be happy to help.